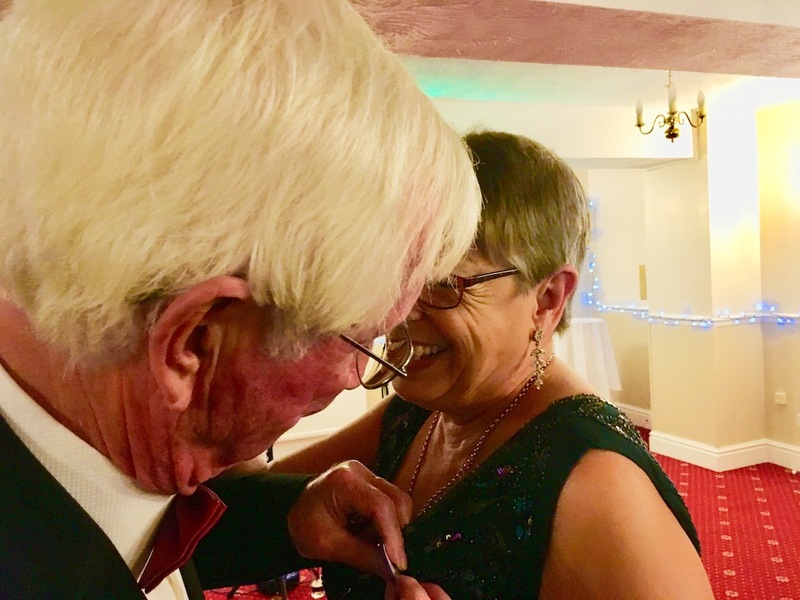 The Club Christmas Dinner on 17 December was not only a seasonal feast with an excellent meal and following entertainment, but also an opportunity to welcome Sarah Knibbs as a new member of the Club. 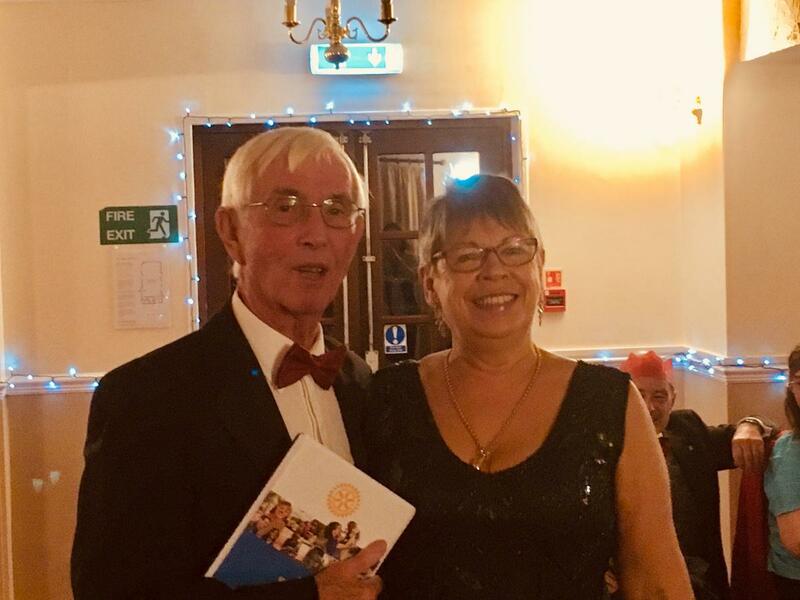 Sarah's husband Tom is a long-standing - and sitting - Rotarian (who has been President of both Hungerford and RWB Town Rotary Clubs) and Sarah has been a great support to both Tom and the Club for several years. We look forward to experiencing her sparkling personality more regularly now that she is a full member. 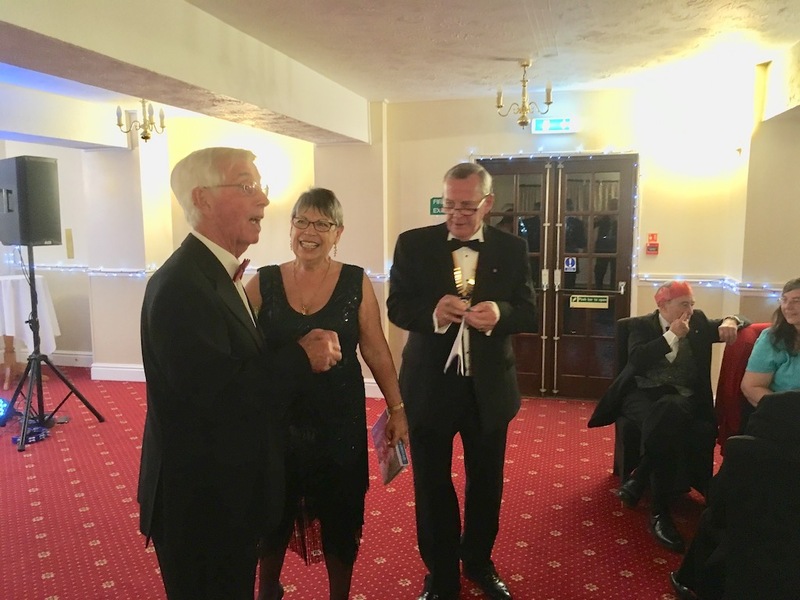 In addition, the Dinner provided an ideal opportunity for President Ian to present a "Paul Harris Fellowship" to Club Secretary John Walduck in recognition of his excellent service to the Club as both President and Honorary Secretary. 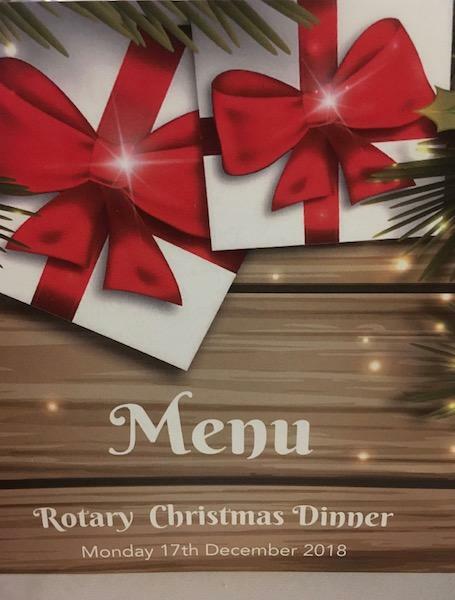 As John said subsequently "now I shall have to work even harder for Rotary"
Congratulations to both Sarah and John.